I am enjoying my cosy knitting room with a roaring fire AND a heater going, while the hail and rain fall outside, and snow settles on the hills that I can see from my window. I am feeling extremely happy. It is finally Winter! An added happiness is the sight of my new car sitting in the driveway, bought yesterday. It feels incredibly good to finally have a pair of wheels again! I decided to upgrade, and added some extra money of my own to the insurance payout so that I could afford a good car. I am very pleased to finally have something that I really, really like – my first ‘grown up’ car – a Honda Accord. The young boy is extremely impressed. I hope nothing horrid happens to this one (or us in it, for that matter)! Train knitting certainly had its advantages. Note I speak of it in past tense already! I finished one pair of socks and have already gone past the heel on a second pair. I appear to have needed cheerful socks to knit on the train – the colour scheme appears very similar in these photos, but you will see they are different when I show more! The yarn for my second pair is from Meraki Studios. All going well, the second pair will become a pattern. The cardigan I have been talking about knitting is now only minus one sleeve. I modified the pattern from a lace sleeve to a stockinette sleeve and thought I had better sew it in and see how it looked before proceeding with the second. I think it works. The cardigan will be finished by next weekend, and hopefully blocked as well. I am very much enjoying working with this luxury 4 ply lambswool. Audry of Bear Ears was highly entertaining in her recent post about socks and her need to get her self-striping socks exactly the same. Her post also jogged my memory into recalling that it is nearly SOCKtober! This year I have been a bit more organised and am planning to release a number of sock patterns closer to the date. I have also agreed to participate in the Carolina Fiber Girls‘ SOCKtober initiative by offering my sock patterns at a significant discount between 15 September and 31 October. Listen in during the August podcasts to hear about all about their plans. I will also keep you informed here. I hope you have a relaxing and enjoyable weekend wherever you are, and if you are in New Zealand, hopefully staying warm! Categories: Socks, sweaters | Tags: Knitting, New Zealand wool, New Zealand yarn, socks, socktober, Wellington, Wool | Permalink. 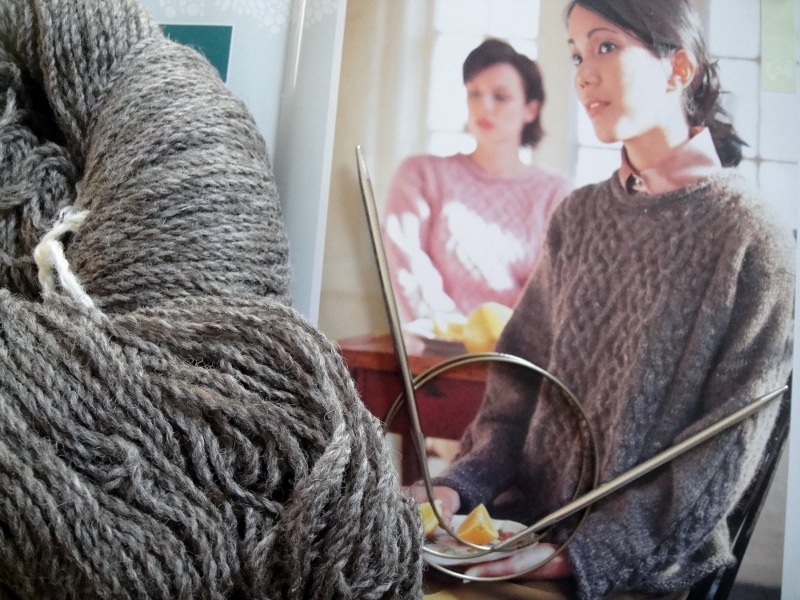 For a long time, I have hankered after a pretty, feminine yarn, with the barest hint of blush. Something that reminded me of the palest cherry blossom scattered over clean white sheets. I never was able to find that colourway, until Circus Tonic Handmade appeared on the scene. After much swatching and ripping, I realised the pattern had to be toe-up, which threw me a bit as I dislike the backwards (to me) way of knitting heels. Then I remembered that I could always do an afterthought heel, and all was well with the world again! This merino/nylon blend yarn (Revelry Sock) is the softest sock yarn I have ever laid my hands on. 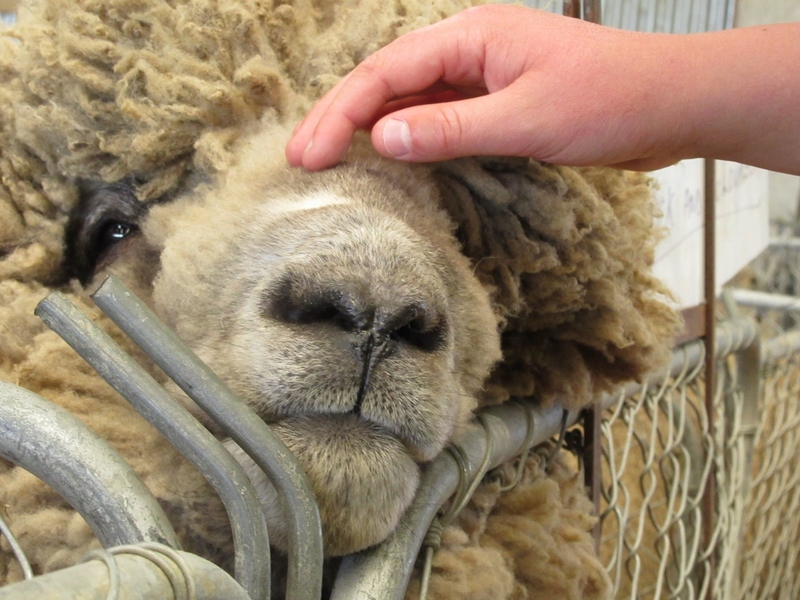 The merino wool used to make this yarn is of very high quality. It is so soft, I was scared that it would be weak, but it is not. It is very well spun, with a non-splitty, springy twist that is perfect for socks or anything else you want to knit it in. I like it very much. I think there is definitely a place in the world for pretty, feminine colours. Ones that aren’t super saturated, but not washed out either. It’s my new favourite style of colourway! I bet you want to see that design I spoke of? This is a sneaky peek of Mary, Mary. All going well, I’ll be releasing the pattern towards the end of next week (dependent on testing time). Mary, Mary, was inspired by the nursery rhyme, “Mary, Mary, quite contrary, how does your garden grow? With silver bells and cockle shells, and little maids all in a row.” It is a feminine design to match a feminine yarn, and I am very pleased with how it turned out in the end. (The sock hasn’t been blocked yet, which is why it’s still a bit wonky looking). Can you see the silver bells and cockle shells? I took the bell reference to be flowers like the Lily of the Valley which have little bells, and the cockle shells are run up the sides, like little borders on the flower beds. The pattern is not hard to knit. 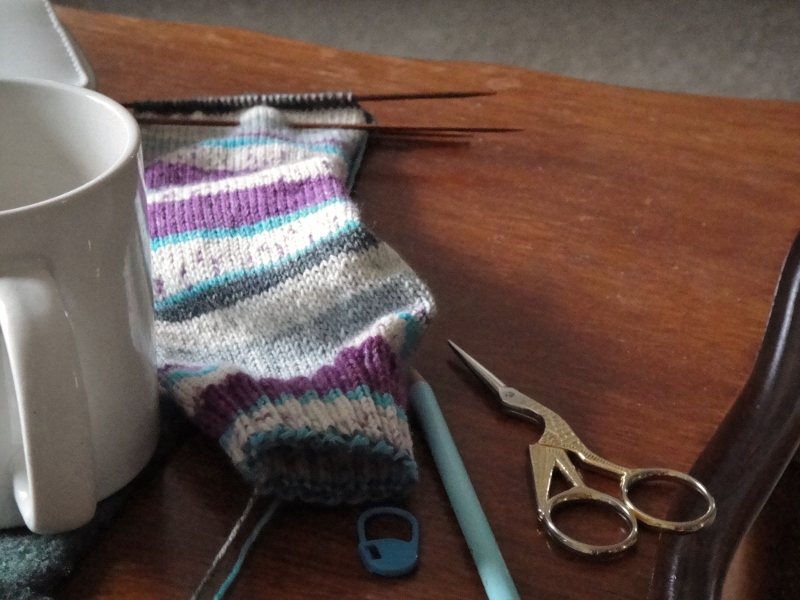 I will give you links to the Turkish cast on that I used (it is so simple, it is my favourite method for double-sided cast ons) and how to work out the length of the foot before commencing the heel. The heel will also have a surprise. 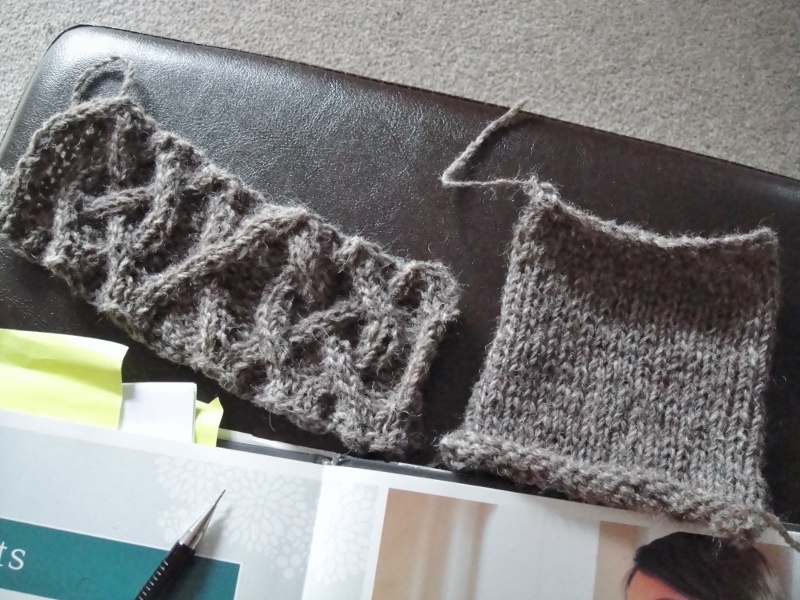 I worked out how to knit a cushioned afterthought heel that fits well. I am very pleased with it and for me, it will help very much with the holes that always develop first on the bottom of my heels! On a final note, speaking of pretty, I saw some truly amazing and exciting New Zealand produced yarn this weekend. 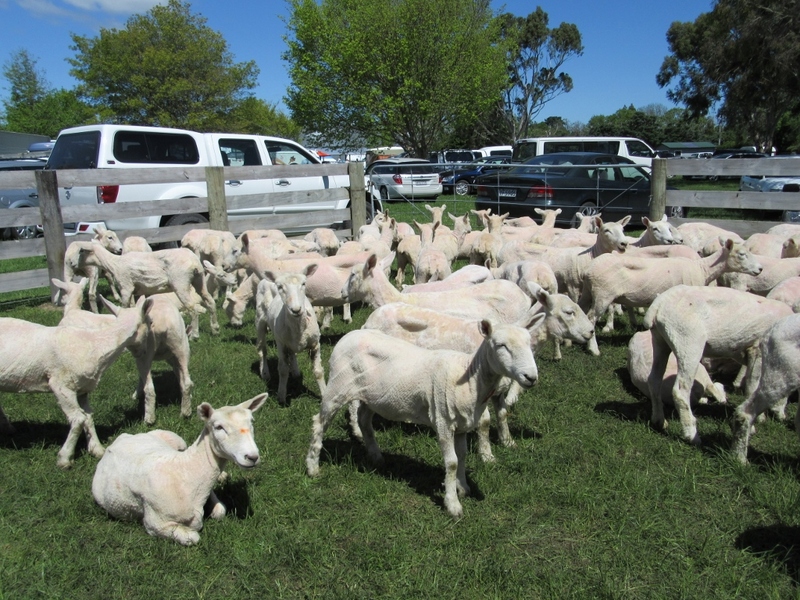 Mary Furness-Weir of Maniototo Wool has produced a special new yarn this season – it is called Luxury Lambswool (from the wool of ram lambs). It is a worsted-spun, DK weight yarn. I have never felt anything so beautiful. It has drape, sheen, it is incredibly smooth (due to the worsted spin) and it is soft. Oh so soft (22 micron). It is quite tightly spun, which makes it even more different to the usual DK weight wool yarns. It makes my head burst. I want it ALL. I don’t have photos (Mary only had two skeins for her own use on her when she showed them to me and I stupidly forgot to take a photo… I was too busy coveting). I have regrammed one of her posts showing the yarn – have a look at the Instagram photo on my sidebar (visible if you are reading this post on a PC), and you’ll see the yarn. Or if you follow me on Instagram (Kiwiyarns), you’ll see it in my feed. 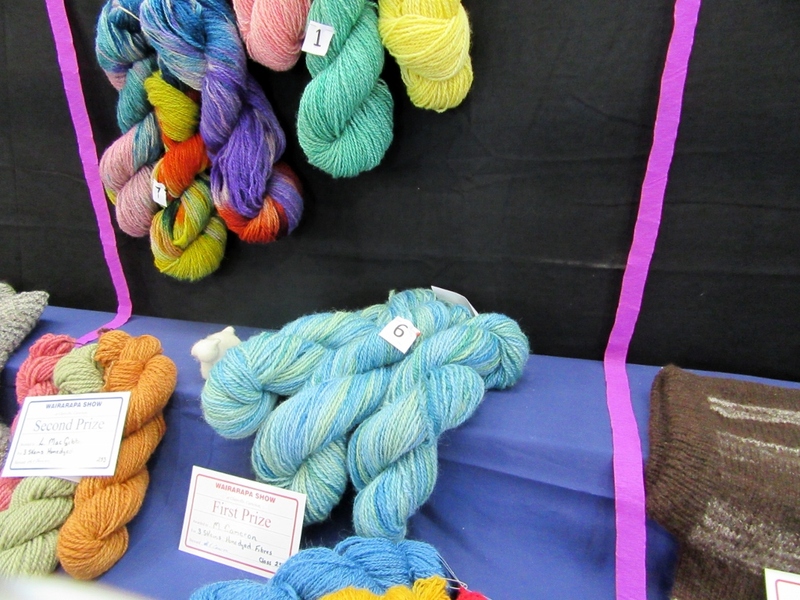 If you hurry, you’ll find some on the indie shelf at Holland Road Yarn Company this month. Mary will be in store at lunch time tomorrow (Monday), in case you are in Wellington and have time to meet her. I had better get cracking and produce more patterns so I can afford to buy some before it is all gone! Categories: Designing, Merino, New Zealand yarn, NZ yarn stores, Sock yarn, Socks, Wool, yarn | Tags: Circus Tonic Handmade, FO, Knitting, Maniototo Wool, New Zealand wool, socks, Wool, yarn | Permalink. This year, I am joining the Wovember WAL and NaKniSweMo, and thought that this would be a good time to finish my 100% wool sweater which has been on hold for no good reason (Two Hearts, a pattern by Lisa Lloyd). 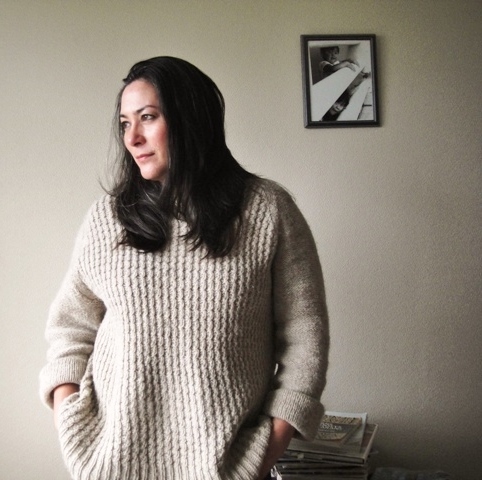 My experiences with pure (non-superwash) wool began when I took the plunge with a cardigan which I knitted out of Anna Gratton’s 100% pure Corriedale wool. The wool was nice, but I never liked the design very much. I was constantly tugging and yanking at it because it kept slipping off my shoulders – looking at this photo now, I can see that the shoulders as designed were far too wide for my frame. I did not know enough at that point in my knitting life to think about measuring myself and comparing it with schematics. Eventually, I stopped wearing it despite the fact that I did find the fabric itself very comfortable. Then I knitted Bedford, which by now, you’ll probably be sick of hearing about because I cannot stop raving about it! 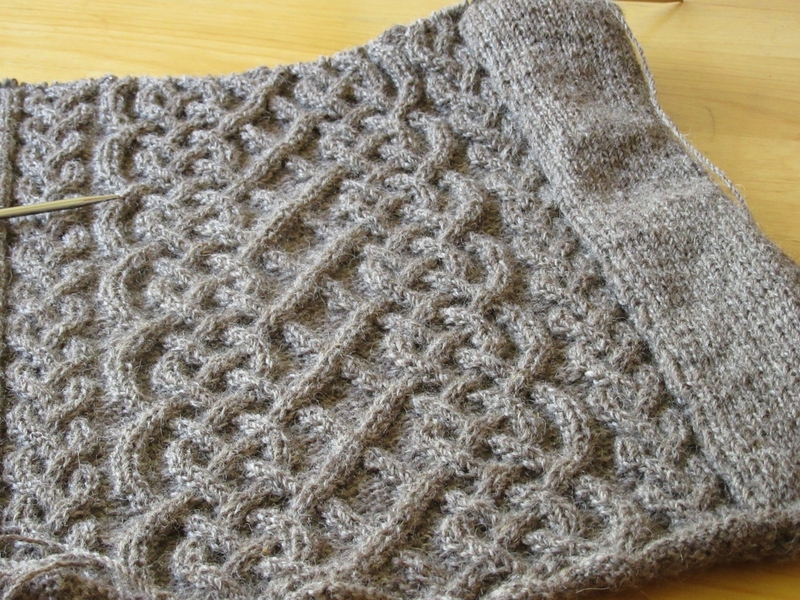 It was also knitted in Anna Gratton’s 100% pure Corriedale wool (Oatmeal/Pumice colourway). At first, it was a tiny bit scratchy. It didn’t matter much because I mostly wore a merino underlayer with it. It is now three years old, and has been washed (by hand) multiple times, and worn almost continually for the entire time. The wonderful breathable properties of pure wool mean that I can wear it in almost all weathers, and still feel comfortable. These days, it is soft, with a comforting ‘lived in’ feeling. As you can see from the photo, there is no pilling at all, and it has not gone out of shape. I may have picked off a few initial balls of fluff when it was first knitted, but the wool has now settled into a structure that will stay like this for the rest of its life. I haven’t been kind to it – I wear it gardening, when cleaning out the animals’ enclosure, when chopping and carting wood, out walking, to the supermarket… It has suffered a lot of abuse, and I have managed to damage it, but I still have leftover yarn from this project, and have been able to repair the damage and keep wearing the sweater. How many man-made fibres would you say continue to improve with age and just look and feel better the older they are? It’s funny because this is one of the few garments that I wear which receives compliments from strangers. It is extremely warm and makes a great coat! And so, I knit my Romney lambswool sweater in the faith that it too, will turn into a well-loved favourite, still looking amazing and being worn in 10 years’ time. I certainly need it. 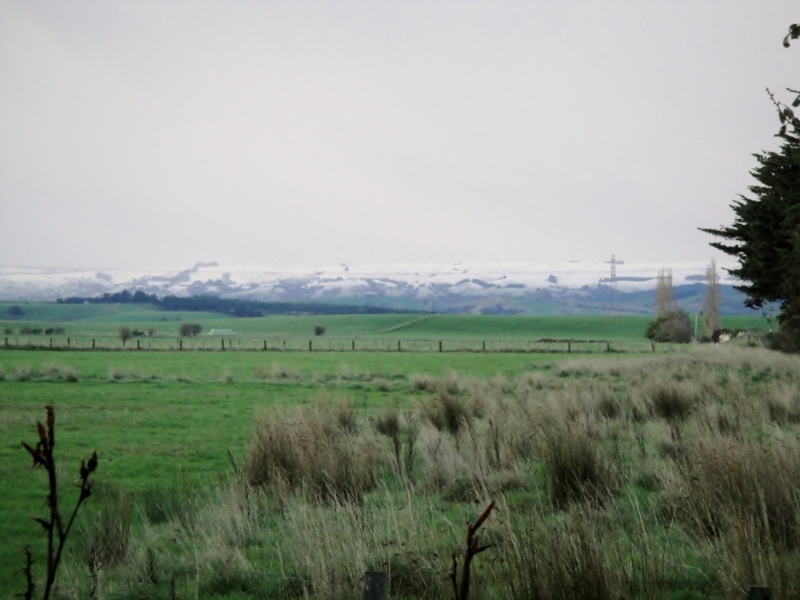 Winter in the Wairarapa is quite a bit colder than in Wellington, and a few more woollen sweaters will not go amiss! 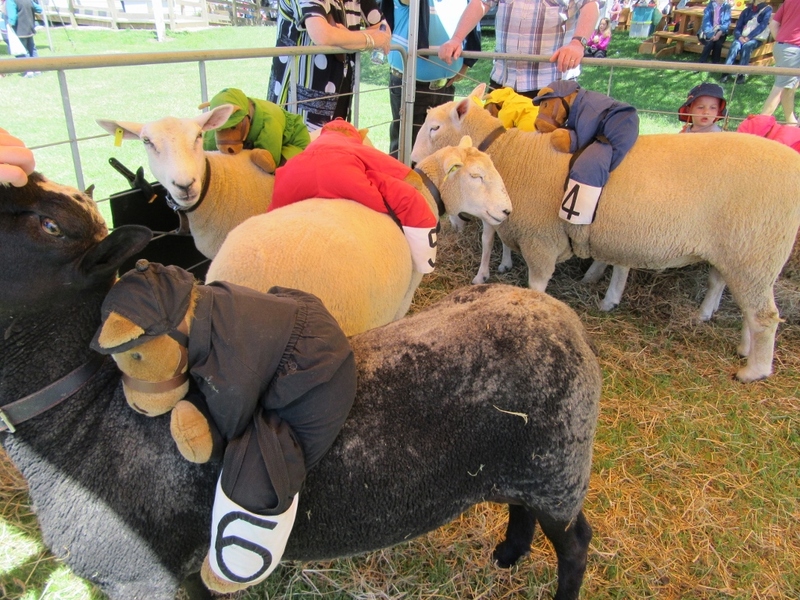 Categories: Wool | Tags: #wovember2015 #wovemberwal, cables, NaKniSweMo, New Zealand wool, Wool, Wovember | Permalink. 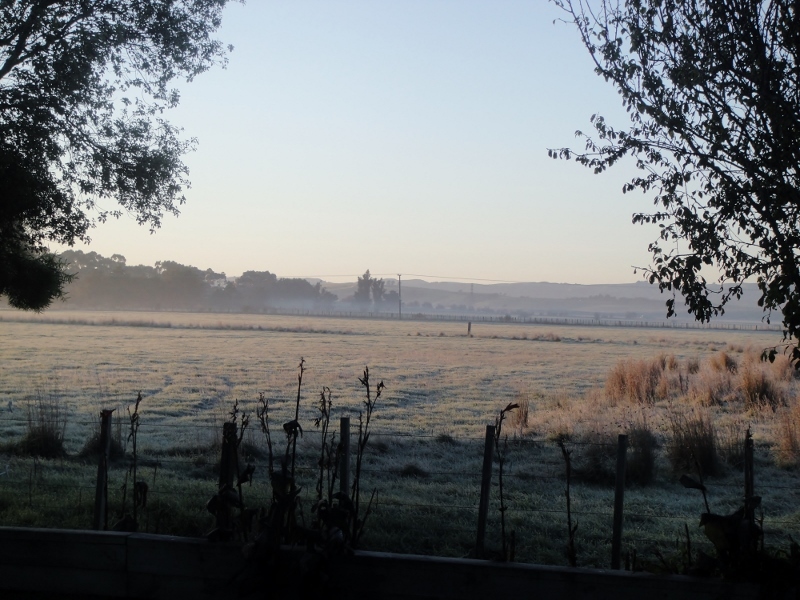 Gorgeous, sunny days, with white frosts in the morning. I love, love, love mornings like this! Snow!!! What a wonderful surprise it was to see!! The vista on the other side of the house was even better, the craggy mountains covered in snowy white capes, gleaming in the morning sun. I did not get a chance to stop and take a picture in the rush to get to work. I hope I get a chance later on during winter when hopefully we will have more snow! 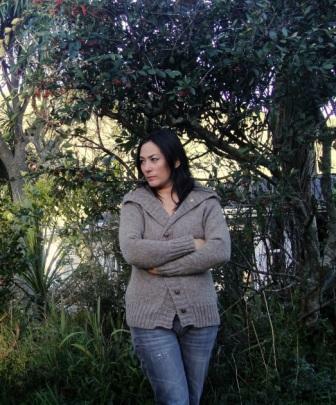 It was delightful to be able to wear my knitted goodness, snug and warm in layers of possum and wool. 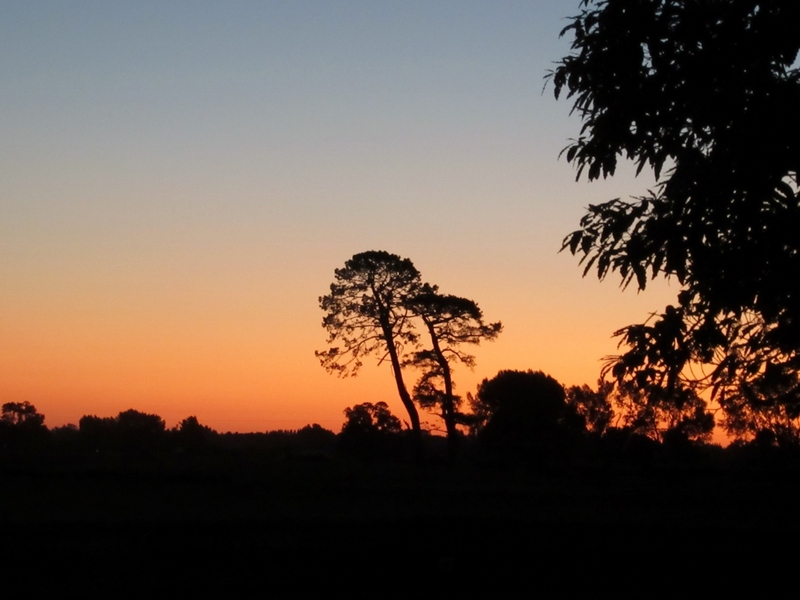 Our nights (especially in the Wairarapa) are cold, sometimes going below zero Celsius, but snug and warm in our houses, with fires ablaze, it is hardly a sufferance. 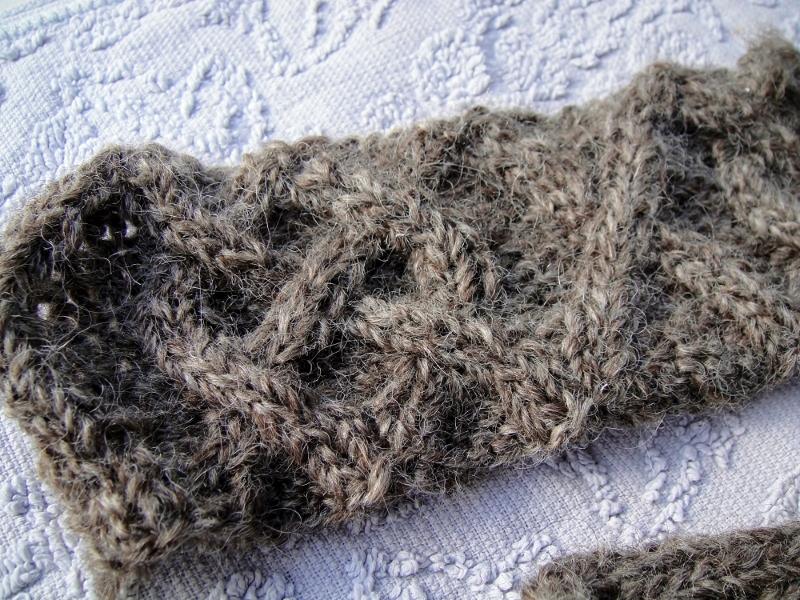 The brisk mornings and cool days have renewed my enthusiasm for knitting more woollen goodness. The yarn is quite crisp when knitted, but I figured that a bath would bring out its true nature. Yes indeed, it has become a much softer version of itself. The woollen spun yarn has bloomed and filled out to create a lovely fabric. It is going to have a bit of a halo, and may be a little bit itchy (I don’t mind and will wear a base layer underneath in any event). 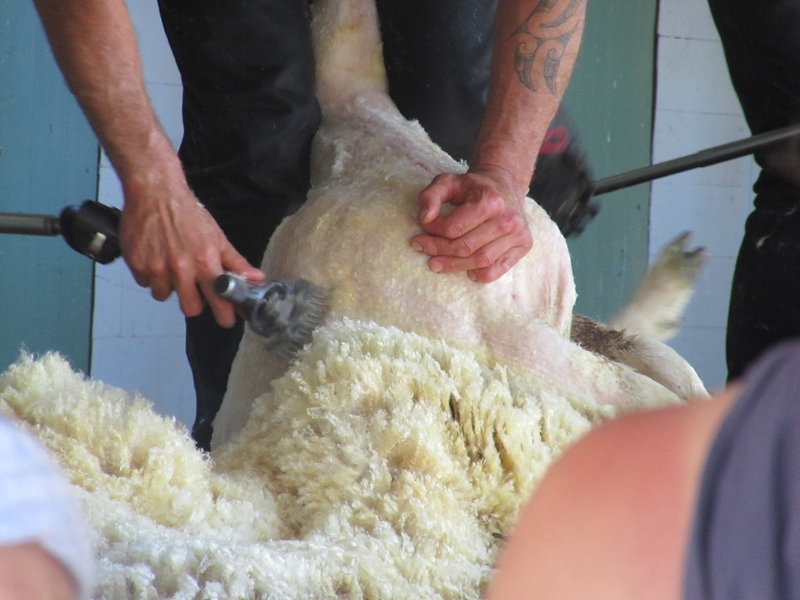 I have a feeling it will be the kind of woollen garment that feels and looks better with every passing year. I’m going to make this my June project. How else to celebrate the advent of Winter and the comfort that wool brings to this time of year! Categories: New Zealand yarn, Rural lifestyle, Wool | Tags: cables, Hallblacks, Knitting, New Zealand wool, sweater, winter, Wool | Permalink. Hello!! Happy Sunday! I hope you’ve had a great week wherever you are. Some interesting things happened to us this week. You’ll all know about the Geek socks of course. I’m totally amazed to see a finished project out there already! So cool!!! They were actually very close (damn my camera!) and you could hear the burners being blasted. 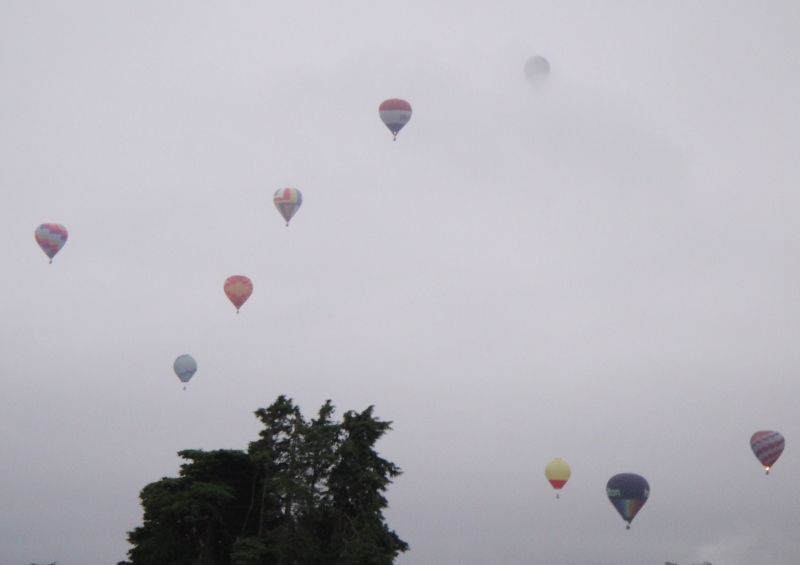 The balloons were doing a mass ascension as part of the Wairarapa Balloon Festival – with balloons travelling from all over the world to participate. It was pretty awesome seeing the early morning sky filled with balloons. 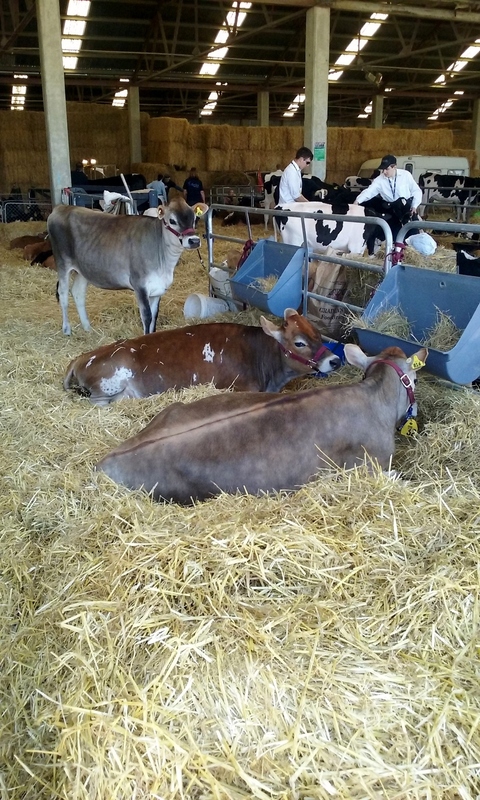 Unfortunately, for various reasons, we missed out out on participating in some of the public events, but I look forward to next year! The young boy was very happy – they visited his school, and they got to hear all about the balloons, how they are made, what it takes to fly them, and see one up close. 3. 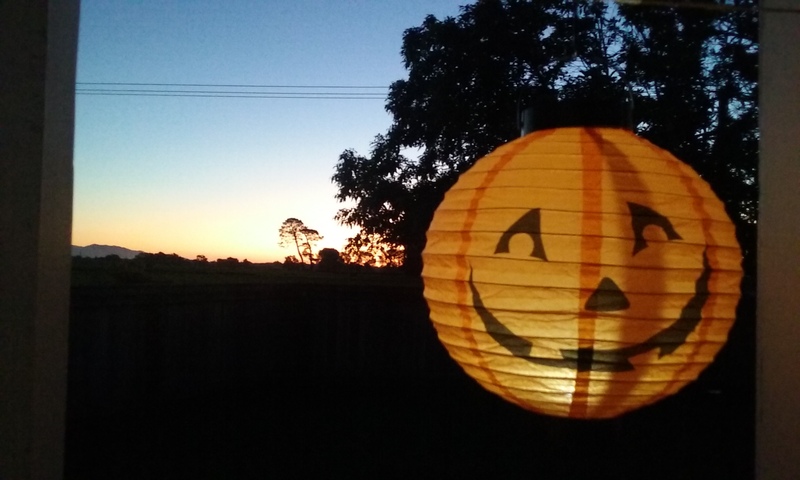 I was listening to some very unusual and musical bird call while cooking supper one evening. The cat, ever attentive, suddenly looked very alert and sprang on to the windowsill. I ventured a peek out the window, and there, on the lawn, was a little grey cockatiel, the source of all that pretty calling!! Here he is, happily perched on the curtain railings. I haven’t been able to find any trace of someone who has lost this wee cutie. I have rung the SPCA and the local vet, looked on Facebook and petsonthenet, posted flyers and put up a notice in the local supermarket. He is absolutely adorable, and now I want one!! 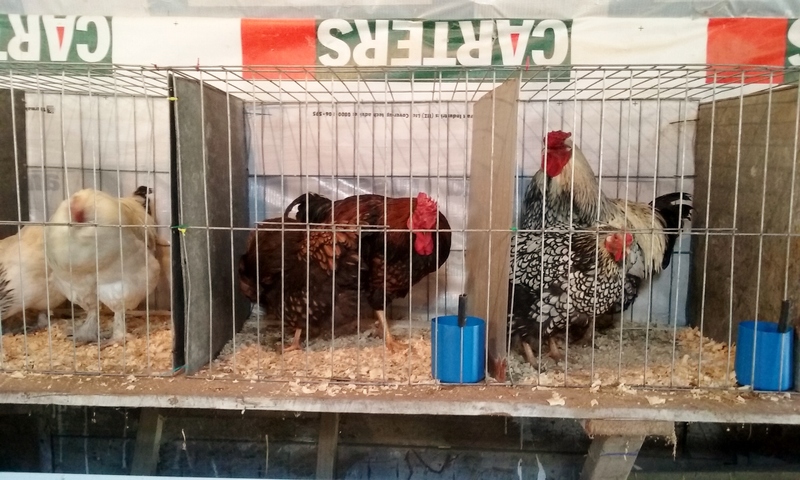 However, given the fact that I don’t have the right cage for him, and that fact that my Ginger Terror loves to dine on bird, I had a very stressful two nights, worrying that “someone” may have got to him in the night. 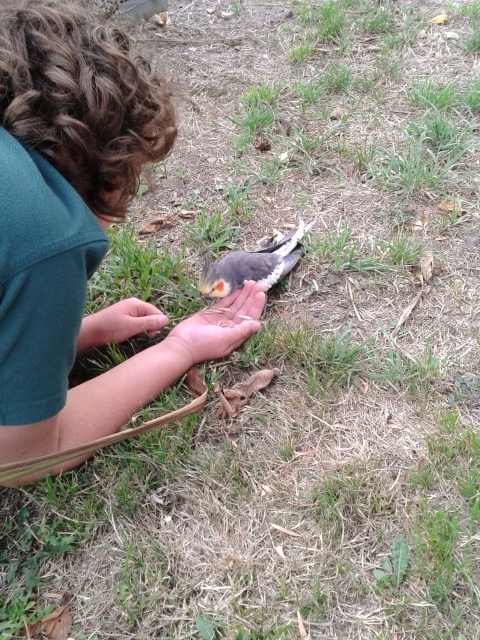 The very lovely girl in the vet offered to look after him, as she has had birds in the past, and so I happily took her up on the offer. 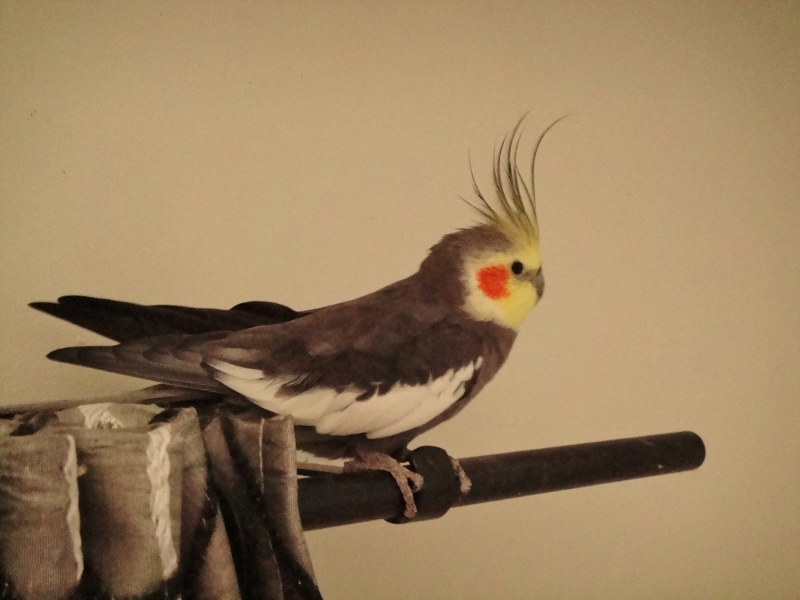 If you know of someone who has lost a little grey cockatiel, do let me know! 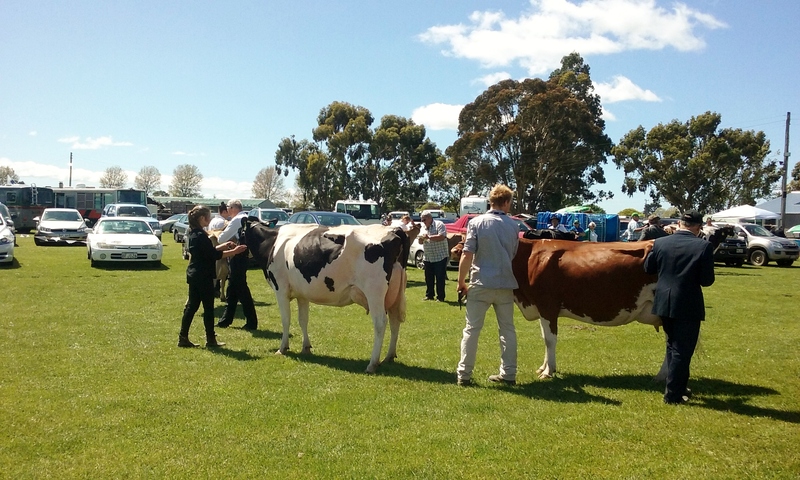 The ones in the neighbour’s paddock are pure dark chocolate and what I could call golden oatmeal. 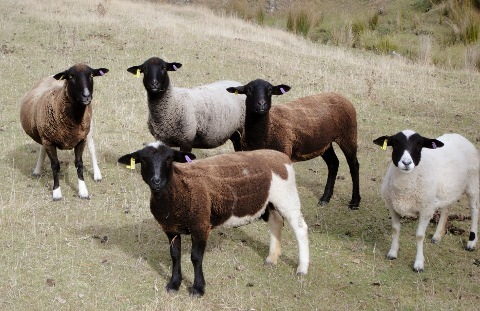 I found out that they are Pitt Island sheep. 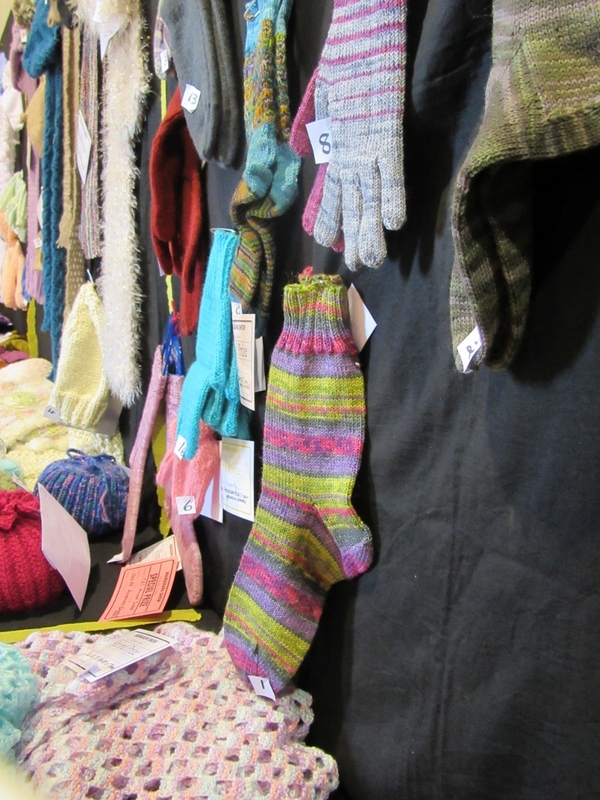 Their owner mentioned that she has bags of their wool in the shed, and cannot get rid of it – the wool is hard to spin, but felts beautifully. 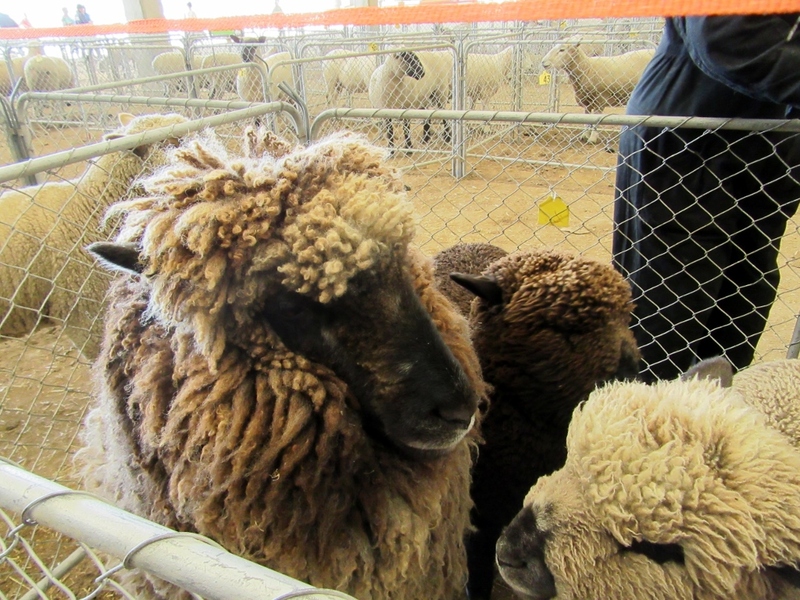 The Pitt Island sheep, having reverted to ancient genes, has guard hair in the wool, which interferes with spinning. Having said that, I cannot but help think of Icelandic Lopi that has both the guardhair (tog) and the undercoat (thel) spun together into yarn. I wonder how much it differs to Icelandic wool?? I’m quite interested to know. 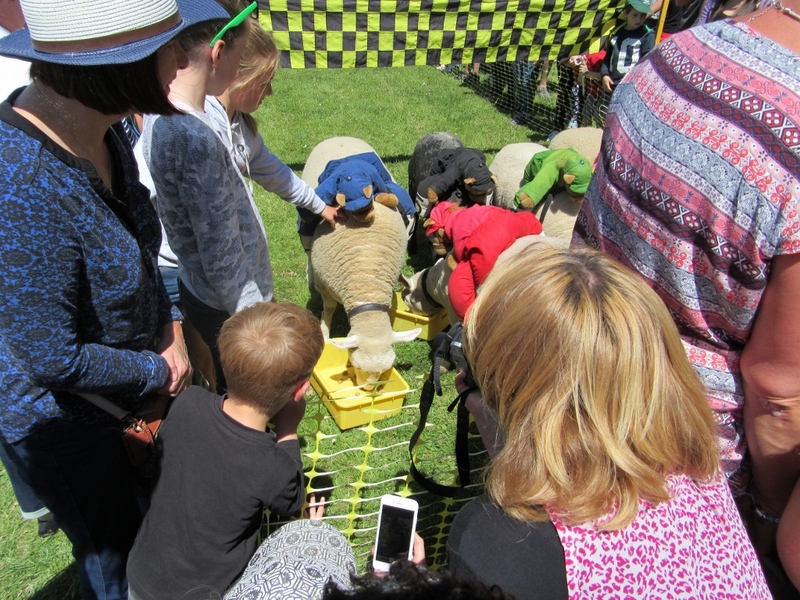 I also wonder if perhaps they haven’t shorn the sheep at the right time, and the natural breaks in the wool may have interfered with spinning nice yarn as well. Just wondering. 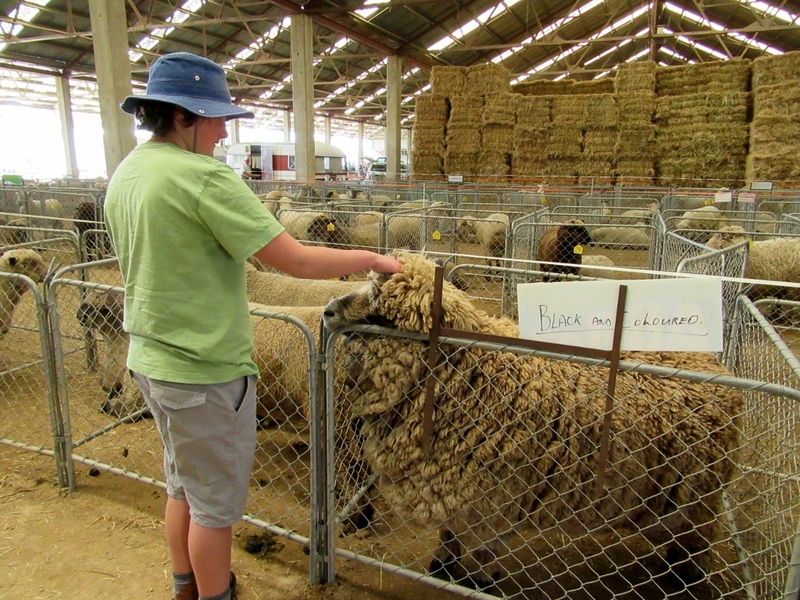 Now I also understand more about Pilana yarn, which comes from Pitt Island sheep, and the challenges they would have faced to turn the wool into yarn! 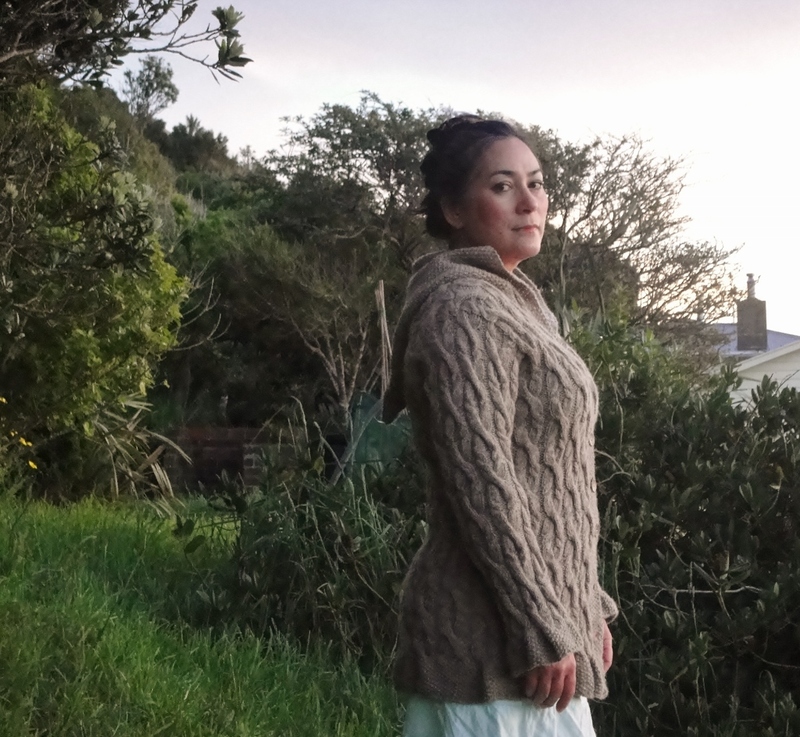 If you are interested in obtaining some of my neighbour’s Pitt Island wool, she is very happy to give it away – she’d rather do that than burn it, which is what is currently happening. 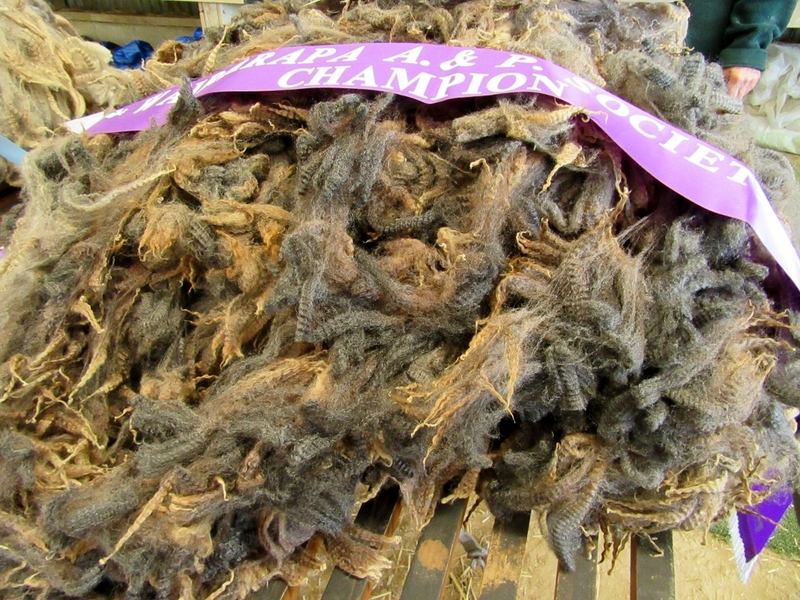 I suspect that it would be an issue to send it overseas, as it is raw fleece, but anywhere in NZ should be fine. 4. The last part of this week has been happily filled with knitting. 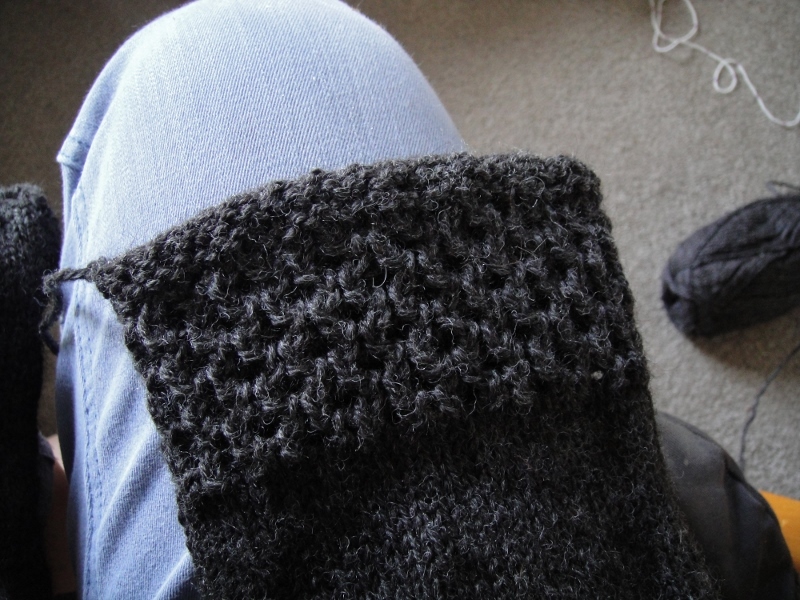 Here is the sleeve end of the Mattingley Jumper, which will be finished in the next couple of days – I was beginning on the collar (the last part) when I took this picture. I also took the young boy to attend a friend’s birthday party, and decided to start a plain vanilla sock so I could talk and knit at the same time. I managed to finish the leg and most of the heel. I got a bit more done this morning. Just a small part of the foot and toe to do. I love how plain vanilla socks are so satisfyingly quick to knit. This one is in an Opal Smile colourway. I hope you all have a brilliant week ahead of you. My thoughts are with those who will be affected by Cyclone Pam. 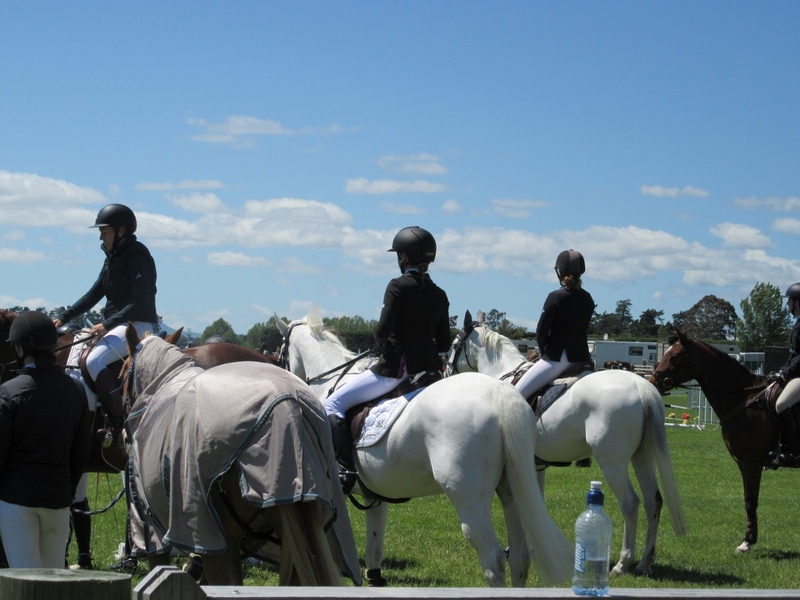 It does not sound like good news for parts of the country, although for the Wairarapa, it should bring much needed rain. Stay safe everyone! 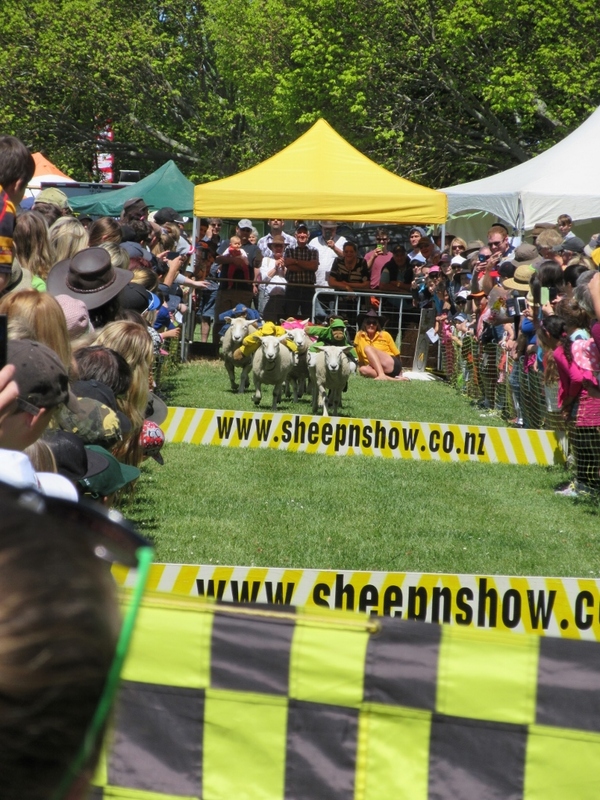 Categories: Rural lifestyle, Socks, sweaters | Tags: Knitting, lost bird, New Zealand, New Zealand wool, pets, Pitt Island sheep, socks, Wairarapa Balloon Festival | Permalink.